A few days ago we reported how the Iranian regime prevented the Sunnis of Tehran of holding their Friday prayers. The irony is that this occured during the “Sunni-Shia unity week” and “Islamic unity conference” in Tehran. Of course there is no Sunni Mosque in Tehran, despite Sunnis being the largest religious minority in and Tehran and all over Iran in general, but there are plenty of Churches, Synagogues and even Zoroastrian Firetemples. The ony thing as a Sunni you might find in Tehran are some prayer houses (called Namaz Khaneh in Farsi), these are basically simple flats or houses converted into praying facilities (of course they resemble anything but a Mosque, and even these places are not spared from the hated of the secterian Shia government), now what did the Iranian regime do to the a famous Namaz Khaneh of the Sunnis in central Tehran?! Yes, after the farce of the “Sunni-Shia unity week” and “Islamic unity conference” AND preventing Sunnis of holding prayers there, they have now decided to completely shut the doors of the Namaz Khaneh for ever. Authorities raided it, closed and locked its doors and put a reminder that these facilities are not allowed to be used for the Sunni community of Tehran. 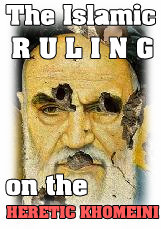 Woe to the fool and the agent of these enemies of Islam who considers this evil regime as Islamic. Iranian officials have welded metal bars across the entrances of this Sunni prayer room in the Pounak neighborhood of Tehran, sealing it shut. 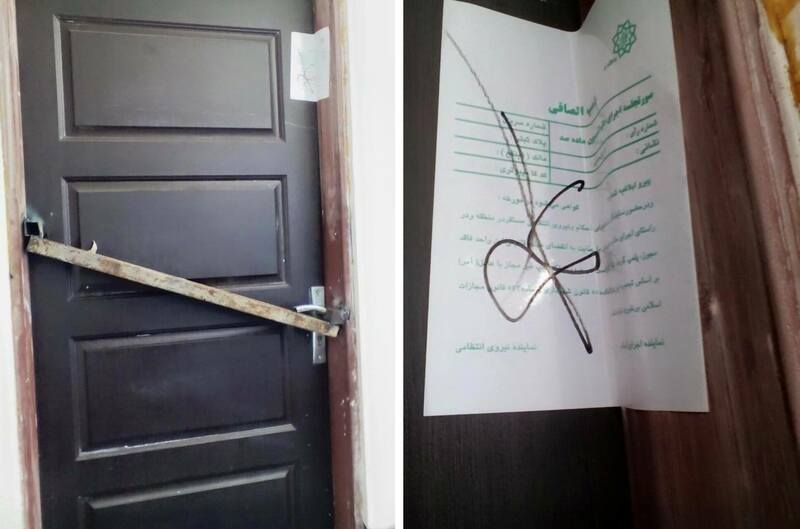 An official document taped to the door clearly displays the logo of the municipality of Tehran. ← The celebration of Omar Al-Faruq’s death during the “unity week” in Iran!